One of my writers’ guides, Show, Don’t Tell, recently made it to the very top of the Amazon bestseller list in its category (editing/writing references). To celebrate, my publisher is now offering another one of my books, Time Management for Writers, at a reduced price. If you are a writer who wants to find more time to write, write more, or maybe even write for a living one day, I think you will find this book extremely helpful. 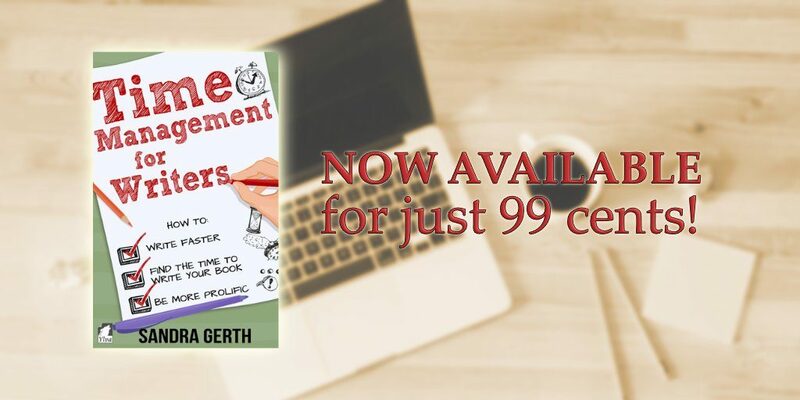 You can get an ebook copy of Time Management for Writers for just 99 cents at Amazon. Gerth, Sandra. Time Management for Writers: How to write faster, find the time to write your book, and be a more prolific writer (Writers’ Guide Series Book 2) . Ylva Publishing. Kindle Edition. Opps! That page cannot be found. Please fix or provide the location on your website in the area on the book.